Duck boots are perfect for outdoor adventures and rainy days because they’re made with an extra layer of rubber and easy-to-clean materials. They were originally called Maine Hunting Shoes for duck hunters and were a mainstay of the wardrobe at elite prep schools. In the past 100 years, these boots have evolved to become a popular style of shoe for non-hunters and outdoor enthusiasts. 1. Choose Insulated Boots for Winter. Duck boots are designed to keep your feet dry and warm. If you want to make sure your kids’ feet stay warm and toasty on those winter hikes and time outdoors, you’ll want to buy boots that have a layer of shearling for extra insulation. This material helps trap in the heat so your child’s feet will remain warm no matter what the temperature is outside. 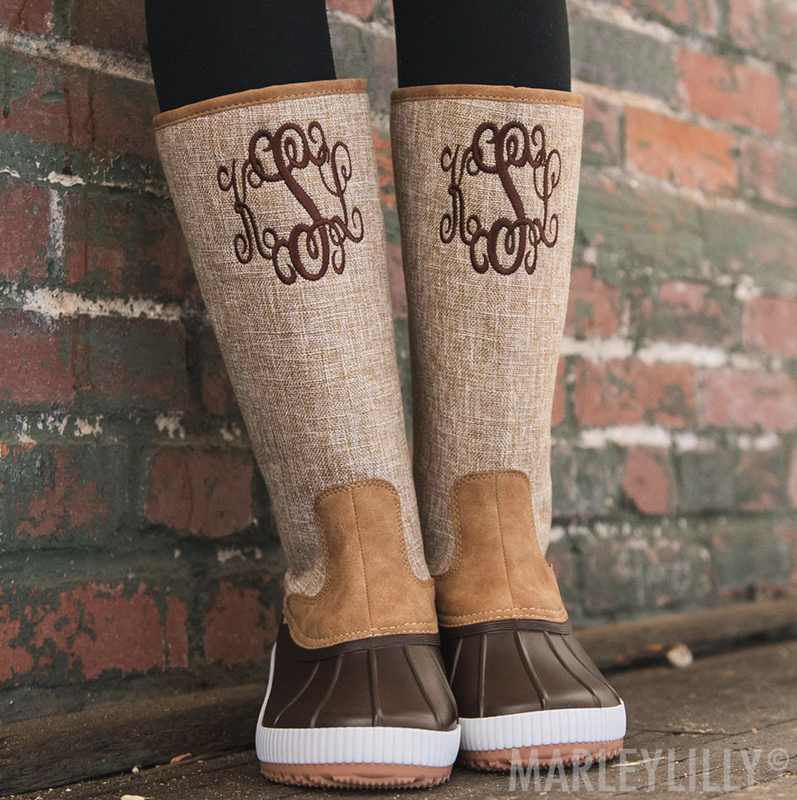 Our boots also come with a removable sherpa topper for added warmth and style! 2. Consider Ankle Height. Some duck boots are designed to run above the ankles, almost mid-calf length, while others will hit right at the ankle. If your kids will be playing in the snow or jumping through big puddles, you may want a boot that runs on the higher side. Low-profile boots tend to be more stylish in nature but can still have a functional purpose. If you have younger kids who are still learning how to run and walk on their own, a low-profile boot may be more comfortable for them. High-profile boots can reduce the range of motion because the ankle can’t move naturally so some children will fare better with a shorter style. 3. Shop with Style in Mind. While the classic duck boot is easy to recognize with its brown, black and tan composition, that doesn’t mean you have to buy only this style. There are now many designer boots and variations of the classic duck boot design available. You can find boots made with tan leather uppers and bold colors such as pink, blue and green. These can add a stylish touch to any outfit while still serving a functional purpose. 4. Size Up for Socks. If you know your kids will be wearing these boots in the snow or outdoors for long periods of time, they’ll probably be wearing a pair of thick insulated socks or heavy wool socks with the boot. Our duck boots are made to run larger in size to accommodate thick socks but if you wear a half size, we do recommend sizing down. Otherwise, the boots should fit you perfectly with duck boot socks! That extra layer of insulation can make these boots even more comfortable. Keep this in mind when shopping for different brands because the sizing can be different based on the style. 5. Try Them On. One way to make sure you’ll have a guaranteed fit is to simply try them on and wear them with a few different types of socks to gauge comfort. While this can be a challenge when you’re shopping online, we recommend checking our sizing guide to help you find the perfect fit. Our customer reviews are also a great resource to better find your perfect fit. Just remember that the boots will stretch out over time, so you don’t want something that is an absolutely perfect fit right now. Accommodate for the stretching, different types of socks they might wear with the boot, and general use to make sure you have the right size. 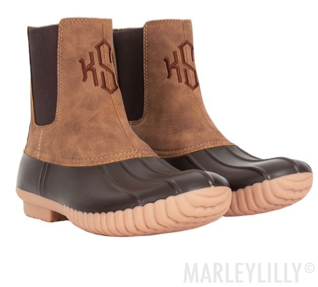 Duck boots are becoming a popular trend for both kids and adults. They are one of the most versatile types of shoes you can have in your closet and are a must-have boot for rainy days and winter weather. Some of the more lightweight, non-insulated styles can even be worn in the summer on stormy days, so they really can be a year-round boot for many. 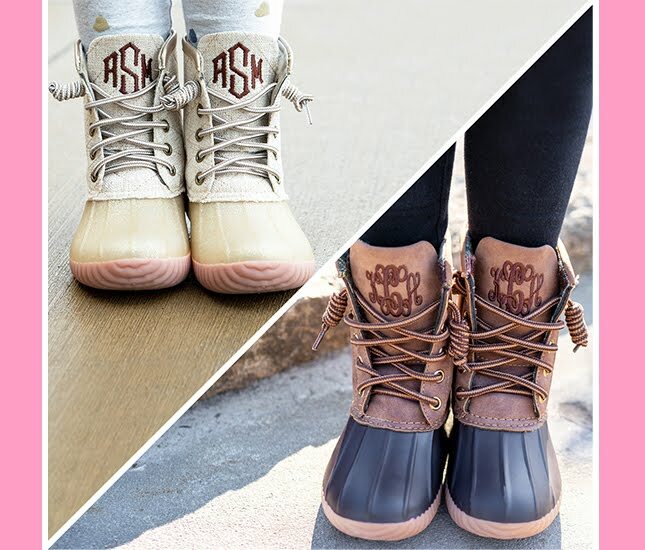 Consider these important tips when choosing monogrammed duck boots for kids so you can find the perfect match and fit.